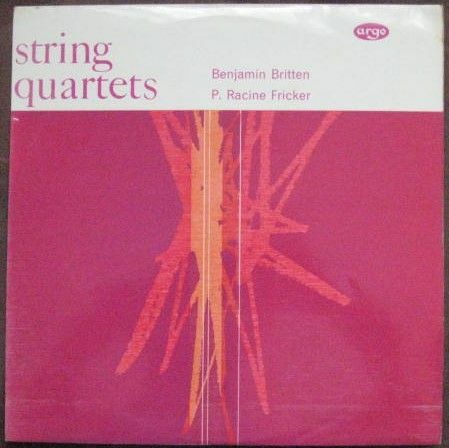 33rpm LP Record of ZRG 5372 Britten and Fricker STRING QUARTETS, featuring the Amadeus Quartet. It was issued on the Stereo grooved oval ARGO label in 1963. UK pressing. The record itself is graded excellent, with no visible surface marks when viewed under normal house lighting. Play-tested on a USB turntable. Superb sound quality, with NO jumps, ticks or crackle and just a very occasional light pop. Otherwise more or less faultless playback. The outer sleeve is graded very good, with no more than light general storage and age-related wear. The inner sleeve has no wear worth mentioning.